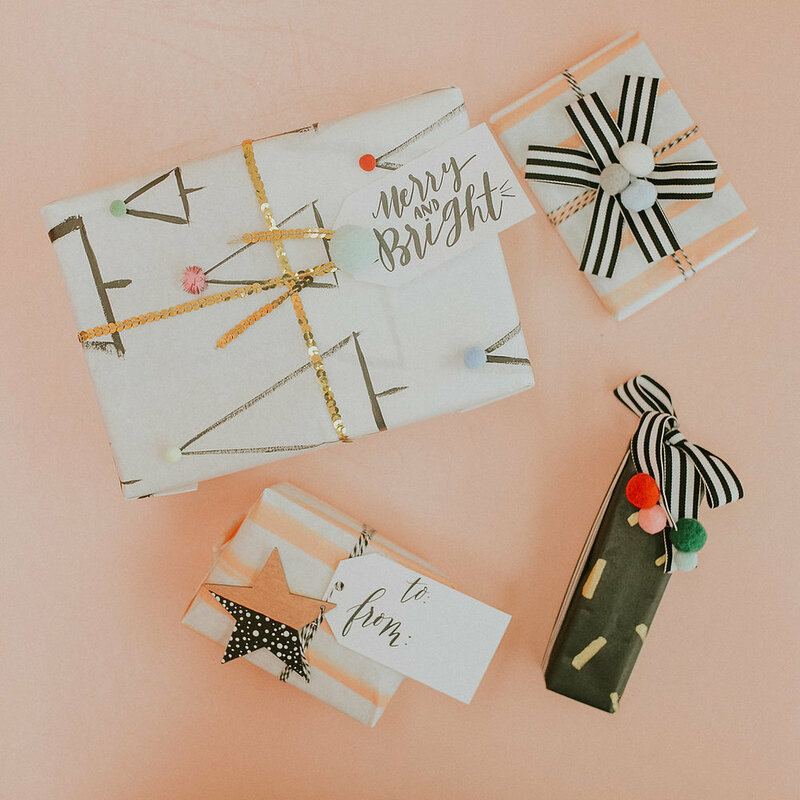 Are you like us and envious of people who wrap their gifts in super-special paper with handmade details like hand-lettered gift tags and dip-dyed ribbons? Well, if you are, then you need to join us for a Gift Wrapping Party! 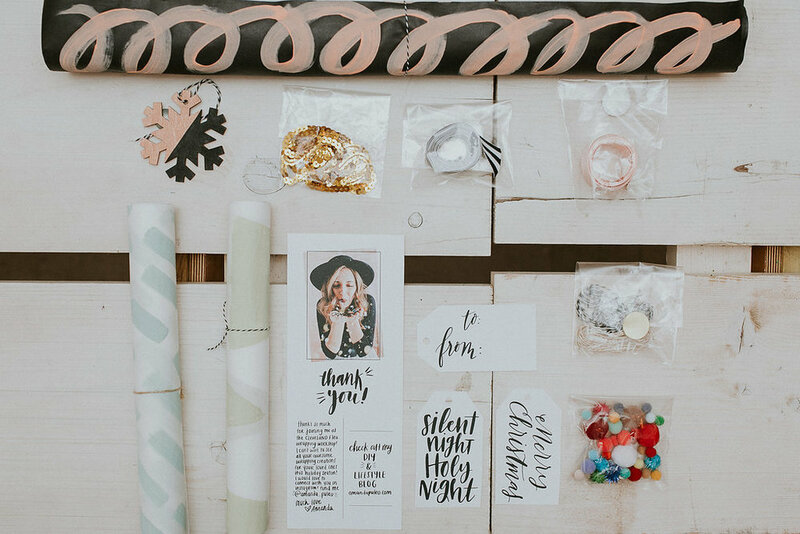 Our friend Amanda put together 20 beautiful wrapping kits for us and some friends to wrap our gifts in style. Whether you want to dash in and grab your handmade kit on the fly or stay a while and make some of your own, $20 will get you an assortment of handmade paper plus bits and bobbles to finish your gift off in style! You can even stay and make more, if you'd like! You can be like me and bring all your fun gifs with you for the wrapping party or you can get all your wrapping done under the supervision of a DIY expert like Amanda or you can just join us for the making of things and start the wrapping party when you get home. WHY: Because it'll be festive + fun + let's be real, you need to get those gifts wrapped.